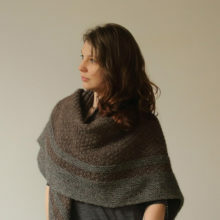 Nat Raedwulf is a knitwear designer working under the name Wolf & Faun Knits. She began her fibre arts career as a hobby when she decided to try her hand at self-publishing designs. 3 years later, her self-taught hobby has evolved into a home-based small business with a diverse, international audience. 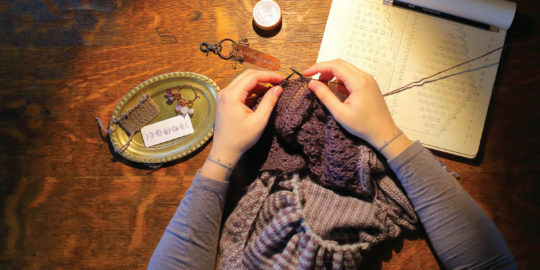 In 2017 she launched www.wolfandfaun.com offering fibre arts tools and products, featuring Vancouver Island artisans and crafters. Nat values slow fashion, traditional techniques, modern design, small business, collaborations, community, heritage, nature reverence, sustainable practices, creativity, and inclusiveness and strives to include these values in her creative and business life. She lives in Cumberland, BC, with her partner Ron, their children and a small herd of tortoises.